This 1930 Austin Coupe is representative of the company's early production. 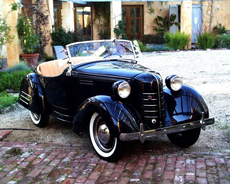 The 1939 Bantam Roadster carries two passengers in open-air comfort. Built on the same chassis as the earlier Austins, Bantams have updated hoods, grilles, headlights, fenders, wheels, rear aprons and trim. The Bantam Reconnaissance Car was born in the form of a one-off pilot car used for testing by the U.S. Army at Camp Holabird, MD in September of 1940. The original was lost to history. Above is a perfect re-creation, hand built by a member of the Austin Bantam Society. Dozens of original production models survive. Most of their owners belong to the ABS. Where it all began: In 1922, the tiny Austin Seven started a small car revolution in the UK that soon spread to Europe, the U.S. and Japan. Many ABS members own Austin Sevens and their derivatives. Welcome to the Austin Bantam Society! Whether	you're	a longtime member of the ABS or a first-time visitor, we're sure you'll enjoy exploring all the resources available from this site. Fans of American Austin and Bantam cars and trucks, Bantam Reconnaissance Cars (the first jeeps! ), British Austin Sevens and their derivatives (Dixi, Rosengart, Datsun) are all welcome here. We are a diverse group of enthusiasts with a common love of these unusual, small cars. 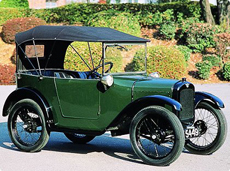 It all began with the success of the tiny Austin Seven in Longbridge, England in 1922. By the late 1930s, production of dozens of Austin Seven models in the UK, plus derivative cars in the U.S., France, Germany and Japan (more than 350 models in all), made the Austin Seven one of the most influential cars in automotive history. 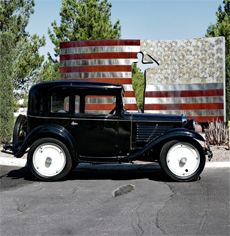 In the U.S., the American Austin and American Bantam Car Companies strove valiantly to succeed in tough economic times (the Great Depression) and against much larger competitors who sold full-sized cars for about the same price as Austins and Bantams. Success was elusive, but the novelty and charm of the cars have endured. 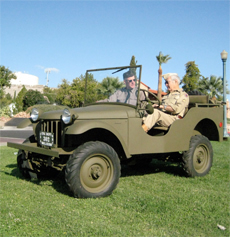 What's more, the American Bantam Car Company holds a unique and honorable position in military history as the builder of the very first jeep, the Bantam Reconnaissance Car. We enjoy each other's company! Check out the "latest news" link above to see what we're up to. We hope to meet you some day, perhaps as you look over the Austins and Bantams as you contemplate ownership. But ownership of an Austin or Bantam car is not a pre-requisite for membership. Just bring your interest and enthusiam. We also stay in touch through a bi-monthly newsletter and the various pages on this website. So check out all the links from this page, enjoy your visit, and if you aren't already a member, you can take care of that right now! Download the Austin Bantam Society Brochure!